And it brings lots of really cool new features, too many to list all of them here. As usual, please let me know if there are any problems with the update. 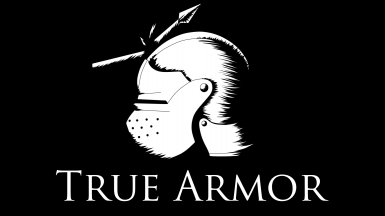 I have added videos explaining all the functions of True Armor, watch them please if you want to dive in deeper, know how you can tweak everything yourself or if you have questions regarding True Armors functions. Before asking general questions please read the FAQ on the forum first. If you came up with some nice settings, I would encourage you to share them! There is a forum topic just for that. Hey! 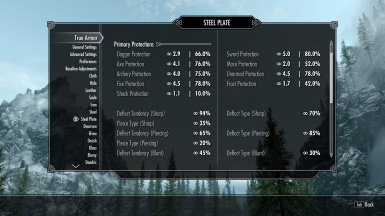 I really enjoy your mod, while I don't necessarily use it for realism, rather I use it to make every armor tier past standard steel and leather actually viable (which in turn also lets me really enjoy all the armor mods I have on), I was curious if you had any plans to make some kind of mod that lets players edit the effectiveness of different materials on weapons against certain enemy types. I.E. In the base game we already know that silver weapons deal a bonus to the undead and werewolves. What if we wanted to for w/e reason be able to apply that Daedric Weapons are able to inflict extra damage to Daedra, or that Steel weapons are able to swing at a faster rate compared to all other material types, etc. etc. 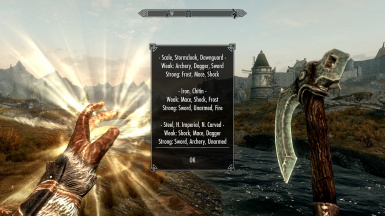 I hate going through a skyrim playthrough only to see myself never really use anything but dragonbone or daedric weaponry and it is honestly just a huge letdown considering all these mods i have to add in extra weapons. Hope to have a reply soon! Hi, that's completely fine of course. TA doesn't dictate you what to use it for, after all that's why every single variable is exposed and editable. As long as you are happy, I am too. 1. I feel that this system would see comparatively little use. Compared to the armor protections it is just icing on the cake. 3. It would considerably increase the amount of calculations that need to be done behind the scenes as it is almost like a second armor protection system just with a focus on material types rather than armor / weapon types. I am satisfied (though barely) with the performance TA achieves. It's not lightning fast nor super leightweight, but it causes very little lag and feels pretty seamless. I would be very hesitant to now add an extra 50% load on top of that. 4. It would be a considerable time investment to add this system and I am currently very busy on other (unrelated) projects. 3 and 4 are the main deal breakers here. It's currently out of my reach and will be for the foreseeable future. Instead, I would advise you to take a look at KYE (Know Your Enemy). It's not as customizable, but adds resistances and weaknesses to enemies that go beyond weapon type afaik. It is a very good match with TA anyway and a mod that I recommend fairly often. You may want to disable creature protections of TA though when you are using KYE, as there is some overlap (not a conflict though). I have a problem: I cannot change "True Armor Custom Settings", it shows the options, but they cannot be clicked on. Also, i want to change the "weapon speed" thing, so i went to "advanced options", and there is the option to change it, but its not clickable. EDIT: Both problem solved, i managed to put OFF on the weapon speed, so another mod works with it, by first selecting "apply atributes to players" on the general settings. Hey Anubis, I'm having a strange problem maybe you can help me fix. -I took it a step further and narrowed the timeframe down to between two saves, one in which the follower is affected and the other in which he is not. -The only thing it seems I did between these two saves is camp for the night outside Forsaken Cave after a quest and fast travel to Windhelm. The saves are eight minutes apart (32:38 and 32:46 game time) so not a ton could have happened. Right now I'm around 72 hours in, so this has been a thing for quite some time without me noticing. -It might be worth noting that this follower has been with me since pretty much the beginning of the game. Anyway, it's certainly not game breaking, but do you know how I would go about fixing this? Is it as simple as applying something to the follower via console, or is it more complicated? It's certainly not game breaking and I've actually been looking for a different tank follower because Gorr is kind of annoying but it's certainly something worth trying to resolve if possible. I tried to avoid a wall of text and I think I failed. Phew, if this is an actual bug with the mod, I believe chances are slim that it can be "repaired" easily. Of course a very big problem is, that it is pretty much impossible to know what is actually going on behind the scenes here. My best bet is the following: The spell which carries the TA script responsible for protections and attributes somehow got stuck on this actor. It expired (for example because the actor was out of range for some time), but was then not correctly cleaned up (removed from the actor). Meanwhile the attached script has gone into shutdown as it should (has become inactive, so that it doesn't do anything anymore). Usually, when the spell was cleaned correctly from an actor, coming in range will simply attach a new spell with a new script to the actor, so everything works again. This cannot happen now, because the spell is still on the actor: It will not be applied double (and that's actually very good). Of course it follows, that this particular actor will never be able to receive a new spell and new script again. The cleanup failed and the actor is now "branded" forever with the "dead" spell and script. Assuming that my theory is correct (which may very well not be the case), there's little you can do I believe. The TA spell cannot simply be dispelled by conventional means, for obvious reasons. Maybe, possibly, there are console commands to list all spells / traits (it may be considered a racial trait or something like that by the game) on an actor and then you could maybe, possibly, use another command to forcefully remove the dead TA spell? Honestly, I don't know if this can be done with console commands and then there's at least a 50% chance that my theory wasn't correct to begin with, so... yeah. You may very well try it though, as long as you keep your original saves, there's nothing that cannot be undone. It might also be interesting to see what happens if you go back to the last save where Gorr was still affected by TA and play for a while from there. Does this problem consistently occur, or only if you do very specific things? Can you manage to replicate it at all? I messed around with it a bit and wasn't able to solve the issue. I could not replicate the problem from the last save without the bug, and I couldn't find a spell that was on Gorr that needed to be removed. Oh well, it may just be a bug on my end, I do have quite a few scripted mods running so if something broke it wouldn't be a huge surprise. I do appreciate the help though! I see, sorry to hear that :/ although I pretty much expected as much. One last thing you could try came to my mind, but you probably did it already anyway: Maybe just turn TA off, wait a while and then turn it back on again? E.g. save whichever custom changes you may have made, load the blank preset, play half an hour, reactivite the mod. If you haven't tried that, I'd give it a generous 10% chance to fix the problem, just don't count on it. How do I disable the weapon speed fix? It breaks the game for me, and I would prefer to use another mod to fix that. Under advanced settings, at the very bottom there is a toggle with 3 options: on, automatic and off. You should be able to switch between the modes by clicking on the field. If this works with custom armors, could this also work with Enderal? Has anyone tested it out? 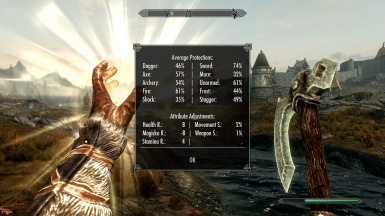 I have zero experience with Enderal, but if that mod keeps the vanilla armor and weapon keywords, they should get along with each other just fine. If not the protections simply won't work as you'd expect because from TAs perspective everyone is running around naked. You might want to give it a try (without overwriting any save files, so that you can always go back without risk). Love the mod (SE) to no end! Hey Anubis, quick question - I know the TA armor settings don't work with NPCs fighting each other, if I set the vanilla armor scale to 0% in the TA menu, does this also affect NPC's who attack each other or does this only affect players vs NPC combat? Been trying to figure out easy ways to make NPCs do less damage against each other since TA makes them so tanky against me but if I have an ally they just melt. Unfortunately the player specific damage dealt increase from Simply Balanced is limited to physical attacks, elemental damage spells and damaging poisons. Usually this all you will ever need, but if you have another more obscure type of damage towards NPCs, it may suffer from halved damage too. Hence the workaround is not 100% watertight, but close. There's a couple other solutions I had in mind, although each one is as rough as the original - the first is to use the Locational Damage skse plugin created by Felisky384 which lets you tweak some damage values, making extra damage that can be done by the player to NPCs, NPCs to the player and NPCs vs NPCs, all separately. The second solution uses Nethers Follower Framework, which is an excellent new(ish) follower mod that in my opinion far surpasses any that we already have. One of the settings allows you to configure the % of damage your follower does, although it doesn't let you configure the damage taken. So that one is only like a half solution. I understand your trouble. Unfortunately I don't think there is any solution to making armor actually matter in NPC combat, while keeping TA in charge for player combat, aside from trying to find some common ground through parameter mixing as you wrote yourself. It's never gonna be perfect though. I would hesitate to include follower specific balance adjustments into TA to be honest. That is something I'd much rather see in a dedicated general balancing mod, such as SB, except that it also doesn't fit into SB, because it would likely require scripts to realize. But should I happen to ever get around to it again, I will revisit these issues and see what can be done. Is there a chance to see this mod in Enderal? For the foreseeable future this is not going to happen. However the mods permissions explicitly allow others to do such conversions and upload the successfully converted mod, so if anyone is willing to take up the task, great! Can you add a spell or a function in the MCM that allows us to categorize armor into what we think are appropriate categories? That'll solve modded armor incompatibilities. Sorry for the double post, didn't realize I posted here already. Unfortunately I do no longer support my mods by adding new functionality. If anyone ever finds another bugs I will do my best to fix it, but for all intents and purposes these mods can be considered to be finished. Besides, I am pretty skeptical if the idea would be feasible, though it is a good one. Anyway, for now it's best to simply adjust the keywords on the armors to whatever category you see fit. It's rather easy to do and shouldn't take much time. This mod does not add any visual effects. It does add sound effects (which can be deactivated), but what you describe doesn't seem to match that. If you see a white flash when swinging a weapon then it could be from Ultimate Combat?